Request a quote for RD-5252- Recessed Folding Pull Handle with Neoprene Grip today. 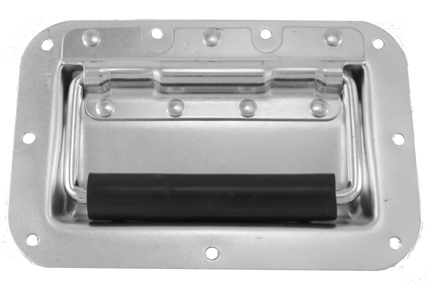 JBF National recessed handles and latches are manufactured from the highest quality materials. They are designed and tested for ultimate reliability and durability. This model is manufactured in steel, with a clear zinc finish. 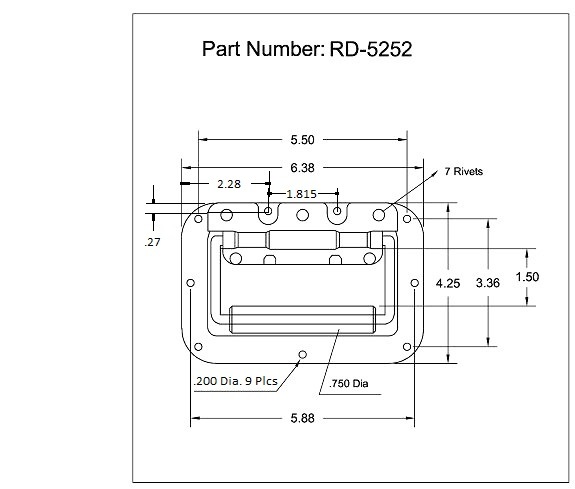 RD-5252 is rated with an overall operational temperature range between -52 up to 150 degrees Fahrenheit. Please see component diagram below.